A dog once thought to be “unadoptable” is now the first deaf K9 officer in Washington state serving as a narcotics detection dog. 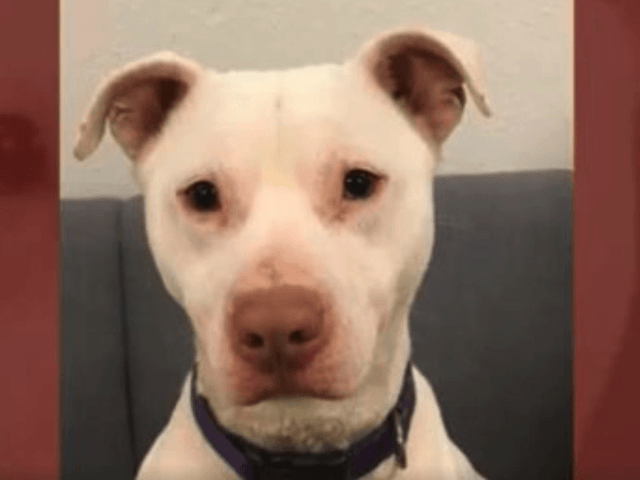 Ghost, a deaf pit bull mix who had been abandoned in Florida when he was three months old, had a rocky start in life. The troubled pit bill had been deemed “unadoptable” because of his indifference to humans, excess energy, and inability to hear. He had been scheduled to be euthanized until the Swamp Haven Humane Society stepped in to help, KIRO reported. Barb Davenport, an official with the Washington State Department of Corrections, took an interest in Ghost when she noticed his ability to focus. “He was very focused and determined to locate his ball when thrown or hidden,” Davenport, who had experience training narcotics search dogs, said after meeting the canine. Ghost, who is now two and a half years old, has found a forever home with his handler, Joe Henderson. Ghost began training with the Washington state DOC to be a narcotics detection, taking commands through a vibration collar and hand signals.